This basin is made by stainless steel 304, with robust construction. Dimension 1400*500*500mm. S/S sheet thickness 1.5mm. With hot water and cold water inlet and valves. It is used for hand washing, together with knives steriliser. Sterilizing temperature is 82 degree. ZBHT Slaughtering Machinery Co.,Ltd. manufacturing high-quality Basin With Knives Steriliser and supply OEM, ODM service according to your personal requirement. 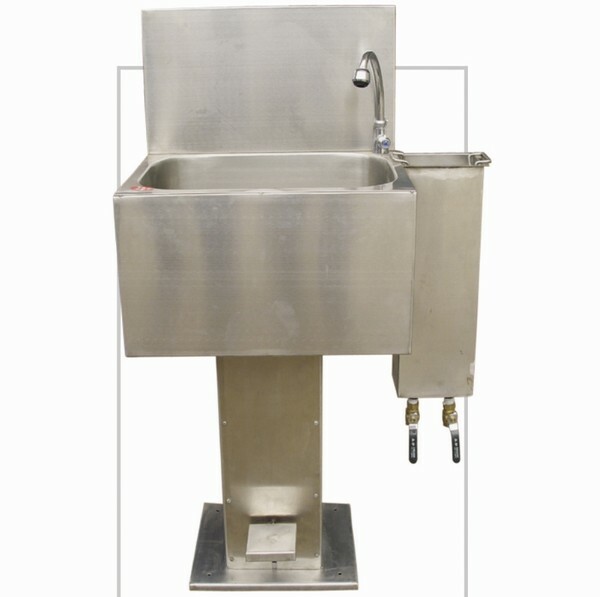 Our Basin With Knives Steriliser and other Auxiliary Equipment And Tools is not only good in quality but also competitive in price, welcome to inquiry us about the details of Basin With Knives Steriliser or other slaughtering machine products and accessory equipment.